How is UChaincore technology development? How does UChain solve the pain of sharing economy? How does UChain address the differences in audiences across countries? How does UChain protect users' data security? How do you believe that this is a safe and reliable platform? How does UChain serve businesses and individuals, and how they are reflected at the micro and macro levels? How does UChain provide participants with incentives to add value? How to participte the Testnet network node? When will UChain's main network be online? UChain has been preparing for the development of the technology for about one and a half years. We have also studied and inspected most blockchain projects around the world, and learnt many peers' experiences, including those with excellent talents and experience. At present, UChain's Testnet website is in closed development. It can be said that UChain encounters headaches and difficultiesday by day It is important that we solve these problems every day. Our team also enjoys this problem-solving process. In the future, as UChain becomes more and more capable of solving problems, we believe that we can face all the problems not only in terms of technology. The core development of UChain please refer to UChain's official website white paper and stay tuned to the UChainofficial Wechat account and weekly report. UChain cuts off intermediaries and minimizes transaction costs. UChain will establish a decentralized blockchain network, enabling peer-to-peer transactions between users and users. The traditional centralized platform will be cut off, and we expect transaction costs to be reduced by more than 20%. UChain is a machine that creates user credits. UChain records all transactions in distributed nodes in the blockchain. This distributed ledger has super-encrypted and untamperable features and is transparent and traceable throughout. That is to say , the created "trust chain" is decentralized and difficult to crack, and once user transaction records continue to increase, user credits continue to accumulate, that is why UChain is a machine that can create user credit. UChain returns data to users and guarantee data security. 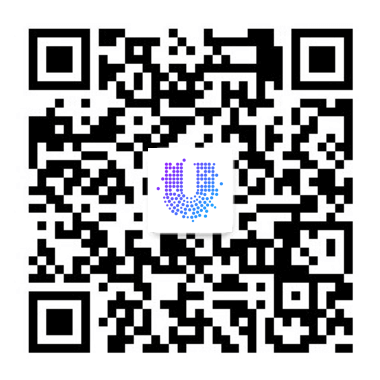 UChain stores the data of users and service providers in the blockchain, including account data, asset data, transaction data, consumption data, etc. We believe that the right of the data belongs to the user completely, and any third party other than the user has no right to query and delete, subtract or make user data. Through the above three efforts, UChain will lead the development of a new generation of shared economy. UChain is the world's first public infrastructure blockchain designed for the sharing economy. UChain aims to establish a peer-to-peer blockchain intelligent network to solve the problem of excessive transaction costs, credit insecurity and user data abuse in the sharing economy. Through UChain's technology infrastructure, every shared economy can develop its own Dapp on the UChain network and issue its own Token. In the future, with the increasing participation of sharing service providers, UChain will become a more completed global economic autonomous sharing economic ecosystem. UChain takes not only the differences between the customers into account, but also those between regions. It should be emphasized that the blockchain’s nature is a network infrastructure which is decentralized or multi-centered distributed. That can been seen not only in its technology, but also in its ecological and community management.. In a certain country, UChain carry out specific business by cooperating with the local shared companies or city service providers rather than by itself. In other words, UChain mainly provides network access infrastructure in these countries and cities, while the specific business will be done by the urban service providers that offer the shared resources and operational services. This not only avoids the cultural differences in different countries and regions, but also minimizes the impact of local policies and regulations. The UChain public platform supports the ecological applications which are developed by Dapp developers on their own, while UChain will open relevant interfaces to developers for calls, which will involve some calls of the user data. 1. UChain believes that the data sovereignty belongs to the user only, and all calls require the user’s authorization. 2. After getting authorized by the user, the data is not called in a completely exposed manner, but is done by UChain's smart contract encryption sandbox. In other words, it is even difficult for UChain itself to get access to the user's completed data, because all the actions are done with parameter setting and encryption. 3. the service providers can’t call the data unless they have reached a certain level, and each call must be done with digital signature, which enhances the use of data and what the data is for completely traceable. As a blockchain infrastructure in the shared economy, the UChain ecosystem has the users of shared services, which are also “the users” we often talk about, the shared service providers, and the builders of the shared ecology. As to the shared service provider, there are different service providers for the enterprises in different sharing situations, such as in wework, if you are a business owner who occupies only one floor or half floor, you can join the shared office platform of UChain where there are a large number of user demands, so that you can quickly share the space through our platform; in the situation of shared bicycle, UChain will cooperate with the city service providers in the future, the shared bicycle service will be done by the local service providers in a certain city; Also, with the help of our dapp developers, the online user service is achieved by our dapp, as well as almost all the sharing situations. The Dapp developers, which are the technical companies of the ecology of the sharing economic, have the technical capabilities. With the capabilities of our development platform, they can achieve technical services rapidly with low-cost. The above is discussed from the macro level if serving companies and individuals. At the micro level, we provide standardized data interfaces and SDKs for enterprises, helping them offer data service and efficiently address demands in a peer-to-peer manner. For the users, UChain will build an international community, and each application situation will be offered services by the different community. The relationship between UChain and all its ecological partners is neither a competitive relationship nor a competitive-cooperative relationship, but a true cooperative relationship. In essence, UChain is only the provider who offers the infrastructure for blockchain technology needed by the sharing economy, rather than the traditional middleman of the sharing economy. In each of the transaction in the sharing economy, UChain makes the trading connections peer-to-pee through smart contracts, which is different from the traditional distribution mechanism mode. 100% of revenue from the orders belongs to the sharing service providers. In terms of revenue, it can effectively encourage the sharing service providers to invest more resources in the sharing economy for a positive in the industry. feedback loop. As the sharing economy 2.0 gradually strengthens, the future UChain sharing economic will have a mechanism with more incentives for its business situations. For example, in the shared bicycle situation, the users can not only get rewards by increasing their riding frequency, but also become the community volunteers, earning rewards by completing the tasks assigned by the community; or become community promotion ambassadors or community partners. As to the enterprises, they can apply for our super nodes, city service providers or dapp developers to become our important ecological partners. UChain has a series of plans and measures to stimulate all ecological partners and share the prosperous ecology ! We will announce the Testnet Network Node Access Guide at the appropriate time, so please stay tuned. You can also visit the Testnet page of the official website. Please stay tuned to our community announcement.